SignalCorrect™ allows quick characterization of cables, fixtures and other types of interconnects using the TCS70902 fast step source and the captured response on a DPO/MSO70000 series real-time oscilloscope. Based on this characterization, SignalCorrect can design a de-embed filter that compensates for the losses that occur in the interconnects, and offers a flat response, enabling signal margin recovery, leading to more accurate measurements. Measurement and de-embed: Characterize cables and fixtures and de-embed their effects to gain margin and reduce failures or costly over design. Step-by-step characterization process: Easily characterize cables and fixtures and get repeatable results making the solution approachable to novice users. De-embed differential and common mode: Enables de-embed of fixtures that may have significant differential coupling and non-ideal common mode behavior. Two fast step outputs enables dual input measurements and full de-embed of single ended, differential and common mode cases. Create and compare: Create multiple filters based on single measurement. Enables comparison of raw waveform with different filter designs. ≤9.4 ps step output: Enables de-embed for greater than 50 GHz (also dependent on oscilloscope bandwidth) useful for next generation designs. Small form factor of the step source: Makes it easy to take the source close to the Interconnect Under Test (IUT) for more accurate measurements. Stand alone source at lower cost. Same performance across all oscilloscope models. Reference sine wave output: Enables deskew to < 1 ps to the ends of the cables or fixtures for more accurate measurements. Output variation: TCS70902 outputs are based on sampling TDR technology that is well characterized for minimal changes over temperature and time. Generic API: Enables integration of the TCS70902 Calibration Source for use in other applications. Plot and save: Data such as calibration data, s-parameter data, filters can be plotted making it easy for visualization and saving for later use. Real-time scope based solution: Characterize a cable/fixture, design, create and apply a filter all on a real-time scope, eliminating the need for other expensive instruments. Use the same real-time scope to perform Jitter, Eye Diagram or standard specific measurements on the de-embedded waveform. 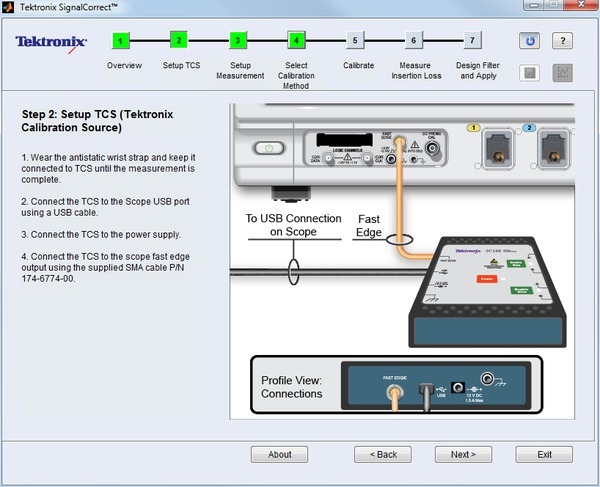 The SignalCorrect software application runs on the Tektronix performance oscilloscopes. The application quickly characterizes fixtures, cables, and interconnects for accurate measurement and analysis. Using filter files produced by the application, you can de-embed probes or fixtures and embed a channel model. The output of the TCS70902 is measured to establish a baseline. A second measurement is taken after inserting the interconnect under test between the TCS70902 and the oscilloscope. The two measurements are compared to get the insertion loss of the interconnect under test. A filter is designed to compensate of for the losses in the interconnect under test and provide a flat response so that signal margin can be recovered to make more accurate measurements. 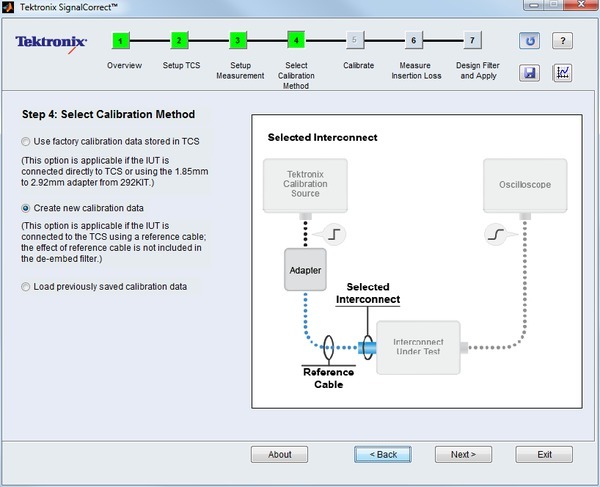 SignalCorrect provides a step-by-step setup process with connection diagrams to guide you in making the measurements required to characterize the interconnects under test. 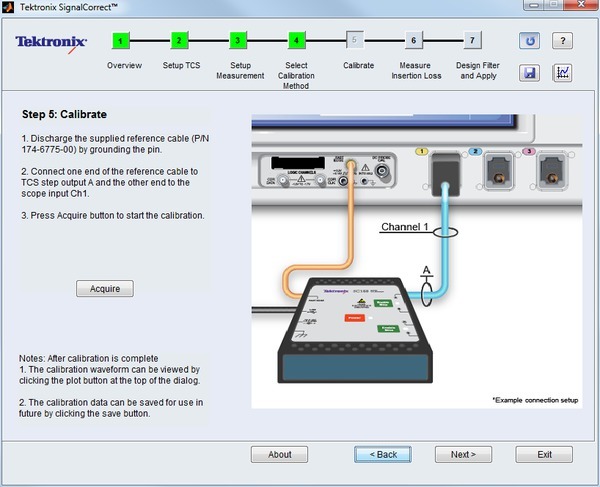 SignalCorrect guides you through selecting the calibration data to use or acquiring new calibration data. During the calibration process a reference measurement is taken to establish a baseline. Factory calibration data stored on the source can be used if the Interconnect under test can be directly connected to the source. New calibration can be used in all other cases. Saved calibration data from previous calibration runs can be used to reduce time for characterization. SignalCorrect extracts the insertion loss of the interconnect under test. A plot of the insertion loss is also shown. 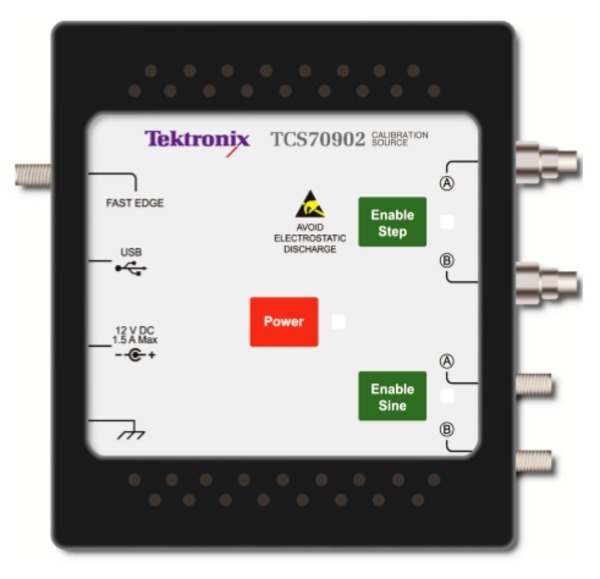 Combined with SignalCorrect™ software the TCS70902 provides an easy to use solution that enables you to quickly characterize and de-embed interconnects under test for more accurate measurement and analysis. 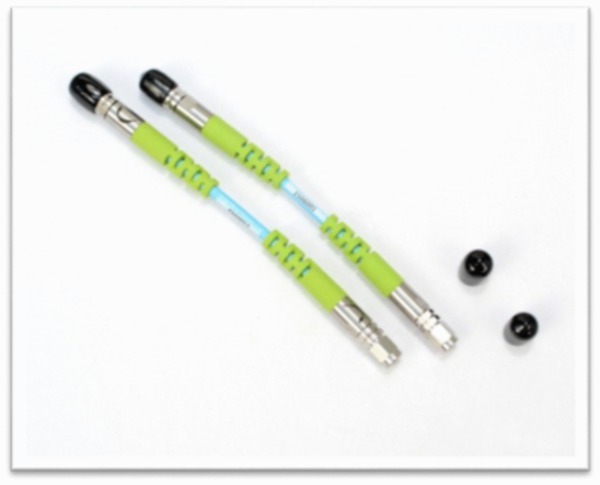 Connector kits provide adapters and matched cables to connect your interconnects (cables and fixtures) under test to the calibration source and oscilloscope. Supports the fast edge output of all DPO/MSO70000 series real-time oscilloscopes. Supports the fast edge output of all MSO/DPO70000 series real-time oscilloscopes. 5 °C to +45 °C, with 15 °C/hour maximum gradient, non-condensing, derated 1.0 °C per 300 meters above 1,500 meters altitude. -20 °C to +60 °C, with 30 °C/hour maximum gradient. Up to 3,000 meters, derate maximum operating temperature by 1 °C per 300 meters above 1,500 meters altitude. Does not include connectors, chains, connector savers, connector covers, pushbuttons, cables, strain reliefs, rubber boot, or lock down hardware protruding from front or rear panels. Main chassis parts constructed of aluminum; front panels constructed of plastic laminate; circuit boards constructed of glass-laminate. TCS70902 Calibration source ≤9.4 ps step output. Includes: calibration source, USB cable, power adapter, and ESD strap. 292 Kit option Adapter kit for DUTs with 2.92 mm, 3.5 mm and SMA adapters. Includes: 2 Male to Female 1.85 mm to 2.92 mm adapters and 1 phase matched pair of 2.92 mm male to male cables. 240 Kit option Adapter kit for DUTs with 1.85 mm adapters. Includes: 2.4 mm adapters. 065099900 – 240KIT Adapter kit for DUTs with 2.92 mm, 3.5 mm and SMA adapters. 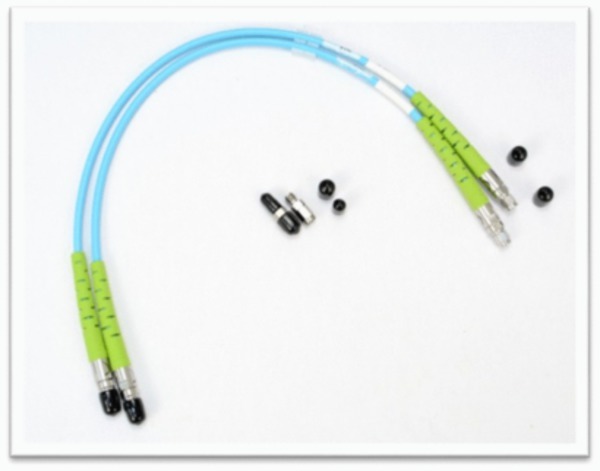 Includes: 2 Male to Female 1.85 mm to 2.92 mm adapter and 1 phase matched pair 2.92 mm male to male cables. 065100000 – 292KIT Adapter kit for DUTs with 1.85 mm adapters. Includes: 2.4 mm adapters. 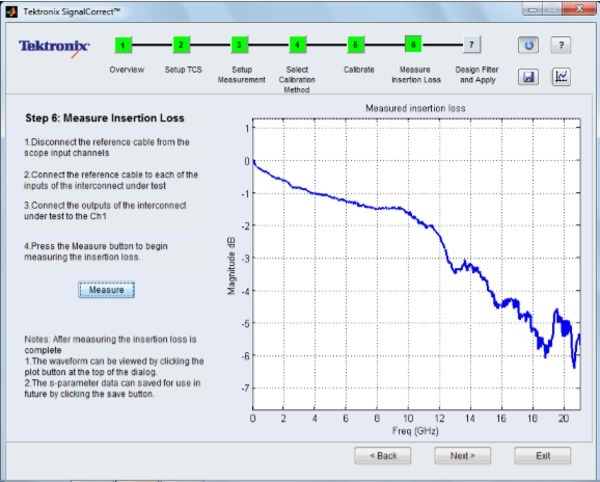 Option SC SignalCorrect™ - Cable and channel characterization software. 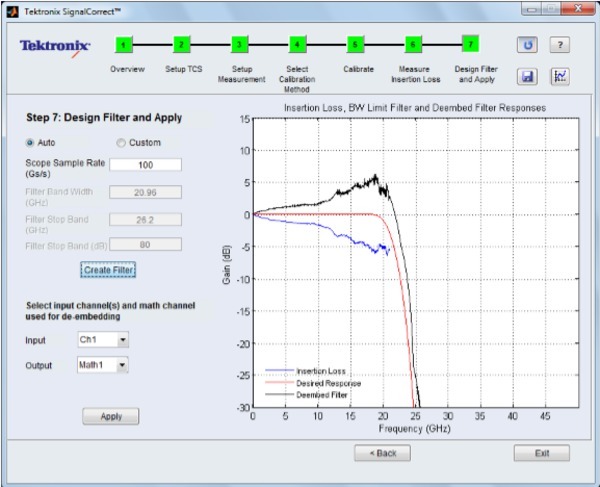 DPO-UP SC SignalCorrect™ - Cable and channel characterization software upgrade. 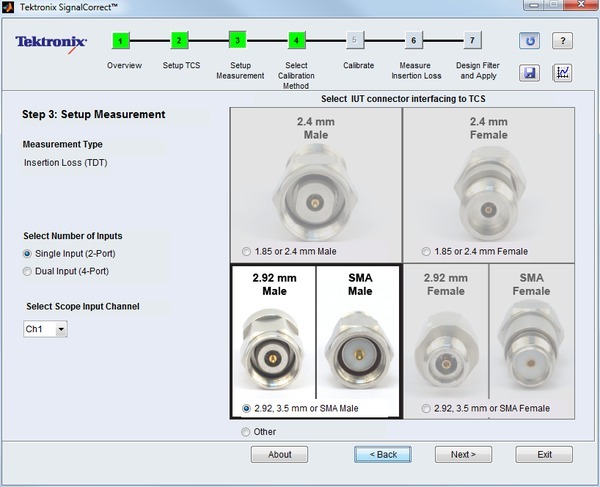 DPOFL-SC SignalCorrect™ - Cable and channel characterization software floating license.